A revitalising toning lotion, suitable for combination to oily skin, that regulates sebum secretion, purifies the skin and mattifies the complexion. Hevea's regulating, purifying toner is formulated from fresh plant waters and juices: fresh aloe vera juice, rosemary water, tea tree, peppermint and ylang-ylang. Purifying and mattifying natural facial lotion for combination to oily skin. Aloe Vera Leaf Juice and Alcohol*, Rosa Damascena Distillate*, Rosmarinus Officinalis Water*, Dehydroacetic Acid and Benzyl alcohol*, Cananga Odorata Oil*, Melaleuca Alternifolia Oil*, Aroma (natural)*, Mentha Piperita Oil*, Linalool**, Benzyl benzoate**, Geraniol**, Farnesol**, Benzyl salicylate**. * from Organic Farming ** natural constituents of essential oil. Spray Hevea organic purifying lotion for combination skin lightly onto the face. Gently work the toner into the face using a cotton wool pad, concentrating on the T-zone and any shiny areas. 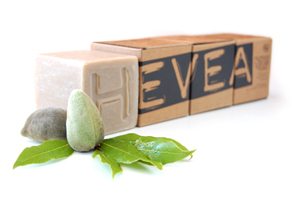 Hevea organic beauty products are freshly prepared organic products, 100% natural, developed exclusively from vegetable resources. A luxury range of aromatherapeutic organic skin and hair care where the most precious essential oils and vegetable elements act to re-establish and boost the skin's natural functions. With over 95% certified organic ingredients on average, Hevea natural and fresh cosmetics embodies purity and authenticity. Give a try to their great organic scented massage candles!